This week at Bungie, we shifted our gaze to what’s next for Destiny. After a lot of looking forward, Update 1.1.1 has become a reality – a version number in the lower left corner of your login screen. We hope you’re enjoying the latest and greatest. Of course, we’re not done. We have something new to look forward to. There’s always another evolution in the pipeline, and just like the last update, we plan on unpacking the next one in detail before you download any of it to your drive. 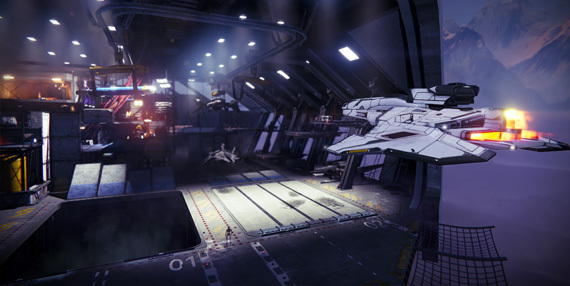 Imagine if you will that Updates to Destiny are like the Guardians landing in the Tower. As one swoops in and descends below the deck, the next is already in orbit, on approach, just waiting for clearance to land their ship. Now that 1.1.1 has been tucked in below decks, we can line up the next “release candidate” for final approach. Keeping millions of players online and shooting aliens (or each other) in the face takes a team effort. The Destiny Operations Center is the nerve center for the people at Bungie who serve the community. Every week, you can expect a sitrep from them right here. After Update 1.1.1, reports came in that statistics for the 4th Horseman did not match our patch notes. The current rate of fire, magazine size, and stability for this weapon were incorrectly modified and we are actively working on a fix. Last week, we announced an update to the Destiny Companion that enabled you to equip or vault your items on Bungie.net and the mobile application. With that update came an increase in WEASEL errors that were triggered when transferring items while playing Destiny. This issue has been addressed and fewer players should encounter this error when transferring items. Additionally, we have heard reports that players are losing items when transferring items using the Companion app. While we investigate this issue, please be sure to check all Inventories amongst your characters, and to use caution when transferring items during mission countdown timers and load-ins for maps. Lastly, we are aware of an issue where players cannot see their Xbox characters on their Bungie.net profile or Companion app. If you are encountering this issue, please report your experience in this thread. If you’re encountering an issue where you cannot see your Xbox One friends list, that is a separate issue we are investigating. Please check our Help article on this issue here. The Help forum is always there for you. And so are we (along with a team of community volunteers). 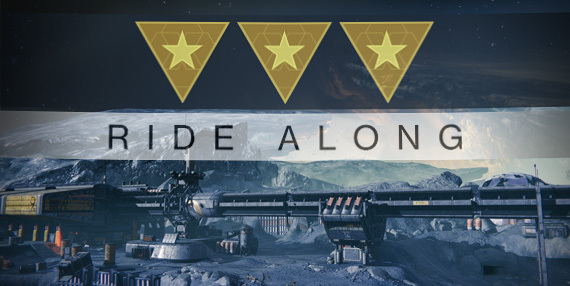 We Guardians need to stick together.